Hello again Smitefire, today I decided to do a huge overhaul on this guide to bring you some updated information and to go into further detail. This is the ability you max LAST. Its simply a wall to stop player movement, which is more important in team fights than it is during laning phase. Level your damaging abilities instead. This is the ability you max FIRST. Mostly to help with you adc clearing wave. Its up to you if you ant to use instacast or not, I prefer not to because I like to be more accurate, but sometimes those split seconds could let the enemy get away. So its your call. This ability you max 3rd after your ult and your Glacial Strike. The longer cc makes it better for setting up kills, but you do want to be getting your ult whenever you can for objective secure. Put a point into this whenever possible. If for any reason there is a big rotation over to solo lane, you and your adc go to gold fury and take it. With your ult, it is really hard to be outsecured. It can also be helpful during team fights as a big AOE slow, so keep that in mind. ALso if you have an Odin jg or something, both of your ults work well together if you want to combo. For whatever reason, never buy beads on ymir because this gives cc immunity. Believe it or not I see this happen all too often. The purpose of this build is to have as much cooldown as possible to make the most use of Ymir's CC. The quicker your abilities are on cooldown, the more often you can peel as well as set up kills for your teammates. Hide of the Urchin is the best defense item in the game, and the quicker you can stack it the better. Building this item 2 gives us both protections at once. This is what I mean when I say avoid splitting protections. If you had went Sovereignty instead, you would have physical defense and health at the 10 minute mark, but no mag prot. So any mid rotation, or mag jungle rotation, or laning against a warrior/mag adc would be disastrous. Building Both protections at once is huge, and makes this a mandatory item on Ymir. From there, Breastplate of Valor is a good pickup for the cooldown and physical protections. Unlike sov, this item is better for aggressiveness, as well as saving teammates by walling off the enemy. Late game, the hp5 sov offers is useless because damage comes in burst not poke. Since the price increase of ob shard, and buffs to Void Stone, we will be picking up void stone instead. I find that 20 pen is better than 20 prot aura, even if it is only for magical damage. Heartward really only applies to you and your warrior since you two are the fronline anyway, and since most people get % pen anyway, the 20 aura prot really becomes 13 prot, which is barely ****. The 20 pen from void will always do you and your mage good, its more fun, and I think its the better tradeoff. Spirit Robe is a good item because it caps our cdr, allowing us to wall freeze and slow very often, gives more prot, but the passive is also very powerful as well. You will run into cc comps where their focus is just to chain cc 1 person to death and then fight 5v4. Spirit robe mitigates a lot of that, and isnt affected by pen. Ethereal Staff Decided to remove E staff, winged blade + power pot does more damage for cheaper, makes you immune to slows, and more than likely you wont have enough time/gold to fully build your support anyway, especially in arena. Winged blade does fine, if you had opted to go the damage build instead, you could get more pen or soul reaver instead. If you are behind however, I will include some situational items you could pick up items 5 and 6 below. Most squishies have 50 mag prot or less. That means Obsidian Shard alone would only give you 16 pen. Instead, having Dynasty Plate Helm, Void Stone, and Spear of Desolation gives us 55 pen without overcapping, getting us closer to true damage making us hit harder and also having more protections ourselves which is nice. If the enemy has 150 mag prot. These three items are still better. So generally speaking the only thing Obsidian Shard gives you is better pen against tanks, which isnt your focus. Spirit Robe is an item I like for its defense and cooldown. I dont like to split my protections, because if an enemy ao kuang or midlaner comes over to gank, my phys def item alone doesnt help me. Spirit Robe still has good protections and a nice passive as well. An alternative could be Hide of the Urchin if you want to be tankier, but i think in Ymir's case the cooldown is useful. The reason I dont add more damage beyond these items is because Ymir does plenty from the pen with his other items. Having polynom can be hilarious in 1v1 scenarios, but is not necessary for damage. Being able to use your abilities more often as well as being tankier is more useful. It is expensive, but it will be our last item, so the longer the game goes on the more justified it is. Midgardian Mail is a good item to have against attack speed hypercarry gods, such as Kali Bakasura Apollo Rama etc. Them attacking you will slow them down and make them easier to hit for your team. Witchblade is a good item to get if you are not the focus of their attack speed gods. It will also help your team, but generally you only want to build this if there is more than one adc and a AA based jungler. Its not very effective against ability based hunters like Neith, or single aa based enemy team comps. Pestilence is a good item to have against healing based team comps. The more healers they have, the more effective this item becomes. Bulwark of Hope is effective against non execute burst damage coming from mages late game. Pick this up if mages are still a problem, and ethereal isnt doing much for you. **These are all situational items to be picked up 5th and 6th. The other 4 items in this build are core. Ymir is a decent guardian specializing in CC and setup. He's not top pick worthy, as there are other guardians that do more for you team, but there are matchups that he does well against, specifically lanes with gods that have dashes instead of leaps. These are guardians that ymir lanes well against. He takes advantage of guardians that are immobile. Same goes for hunters. If they dont have a leap, ymir can wall off their escape and guarantee kills, or vise versa stop the enemy guardian from chasing his team. These are all gods that Ymir doesnt do so well against. They all either have ways to get through his wall, or in Geb's case, hard counter Ymir completely. In the future, I will try to get some footage of either me playing, or some proper gameplay I find from a stream and post it here. In the meantime, here's some good gameplay of what NOT to do on Ymir. So there you have it, a tanky, healthy, objective destroying, cc spamming ice monster. In my opinion, I think its wrong that people try to make up for ymir weaknesses (mobility) and build items like winged blade on him. If you want a mobile cc spamming god, there are better choice for that, such as Xing Tian. 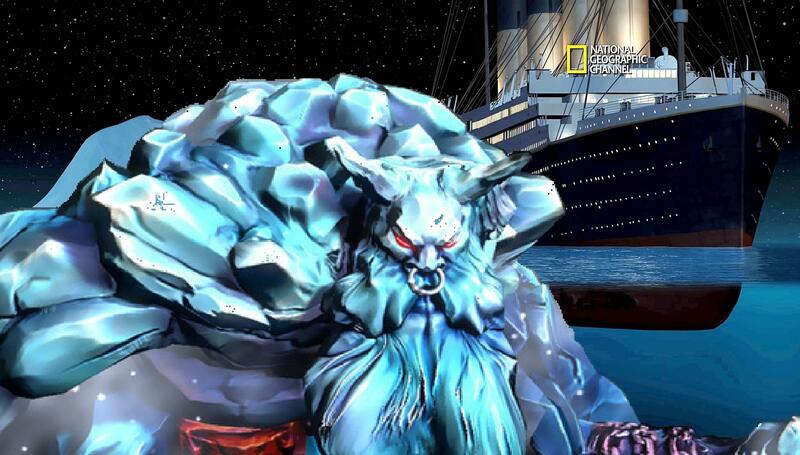 The strength of Ymir lies in his hidden power and cc, which gets unlocked through pen. If you play a god to their strengths, you will do better than trying to make up for their weaknesses. Nice update, ricu. Got a different mindset on this now...Ranked means you should always expect a magical/physical balance, and what you're specifically doing here is building to Ymir's strengths, rather than possibly building to counter the enemy. I can see how that makes sense. A couple of things you probably don't care about, but I'll mention anyway. In your ability descriptions, you COULD talk about how Glacial Strike is not only for helping ADC clear waves, but in combination with his Frostbite (which you don't mention), makes him perhaps the best of all Guardian Supports at jungle camp clear. Do you ever see a use for Bumba's Mask for further clear enhancement? Do you never use Lono's Mask? This is another case where I feel the build is very situational, and you don't provide any real options. If you're doing well and are supremely confident, you can start Shoes of the Magi, but you don't even give an option for Shoes of Focus or anything else. Playing as Support, even if you plan to do some good damage, many may not want to lock into those shoes. If you just call this a high damage build, rather than specifically for Support, I'd be more in favor of this...the build is generally similar to my Bacchus Dunk Squad build (#4), which I specifically call out as a damage build, and it can be very effective. I know you explain just getting Cloak of Concentration before moving on to Ethereal Staff (and then completing Mantle of Discord)...but for people looking at the build before they decide to read anything further, it's going to look weird to them. Might suggest making it visible somewhere in the build itself. Anyway, hope this was clear and I explained myself well. 112160 Branmuffin17 Hi ricu, This is another case where I feel the build is very situational, and you don't provide any real options. If you're doing well and are supremely confident, you can start [[Shoes of the Magi]], but you don't even give an option for [[Shoes of Focus]] or anything else. Playing as Support, even if you plan to do some good damage, many may not want to lock into those shoes. If you just call this a high damage build, rather than specifically for Support, I'd be more in favor of this...the build is generally similar to my [[Bacchus]] Dunk Squad build (#4), which I specifically call out as a damage build, and it can be very effective. I know you explain just getting [[Cloak of Concentration]] before moving on to [[Ethereal Staff]] (and then completing[[Mantle of Discord]])...but for people looking at the build before they decide to read anything further, it's going to look weird to them. Might suggest making it visible somewhere in the build itself. Anyway, hope this was clear and I explained myself well. But in my opinion you are missing one Important thing: Health. Especially early game. I know Ymir has the highest base Health in the game, but still! Protections without any Health untill the very last Item are not worth very much. Also: Early game, health Items make you more tanky than protections due to the low base health in low Levels. Also You are missing Cdr. I know It's only 5% after pot but still not much early and 5% Cdr from 35% to 40% still is 8,33% more Spell casting! Ive been running with the build I showed djma and been having more success with it lately. To be honest, the pen build works better with Cab because he has naturally low cooldowns, unlike Ymir. The early health from urchin and cheaper full cdr from boots, breastplate and gengis works well. From there I get more pen and health. It just depends if you want damage over cooldown. i'm new about a month of playing, i played this build twice, the first one went really well so i liked it i can tank quite enough for the rest of the team to do their job, i even get some kills.. the 2nd game was really bad, but coz my adc was a really bad hou yi probly newer to the game than me. and my duo said never build this item route again... i deleted and blocked him, unfortunately he's in my clan. 110982 djma777 i'm new about a month of playing, i played this build twice, the first one went really well so i liked it i can tank quite enough for the rest of the team to do their job, i even get some kills.. the 2nd game was really bad, but coz my adc was a really bad hou yi probly newer to the game than me. and my duo said never build this item route again... i deleted and blocked him, unfortunately he's in my clan. Its a good build to have if you are ahead or average. 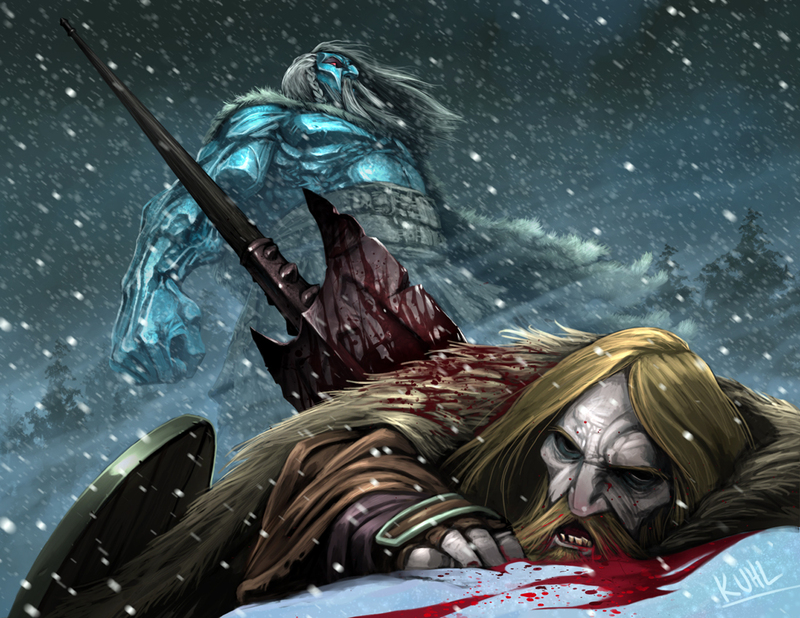 Your Glacial Strike will be hitting for over 500 damage. But if you are behind, having cooldowns will be more beneficial than pen. That just means you will have to settle for obsidian shard which isnt as good imo. But my theory is, if you are behind, chances are your team will surrender anyways, so why build to make up for that when you can play to your strengths. Anyways, an alternative would be Shoes of Focus Hide of the Urchin Breastplate of Valor gengi's guard Obsidian Shard and Ethereal Staff. 111100 masterricu Its a good build to have if you are ahead or average. Your [[glacial strike]] will be hitting for over 500 damage. But if you are behind, having cooldowns will be more beneficial than pen. That just means you will have to settle for obsidian shard which isnt as good imo. But my theory is, if you are behind, chances are your team will surrender anyways, so why build to make up for that when you can play to your strengths. Anyways, an alternative would be [[shoes of focus]] [[hide of the urchin]] [[breastplate of valor]] [[gengi's guard]] [[obsidian shard]] and [[ethereal staff]]. Hi, I just started playing again after a break for a half year. Why don't you start with wards, when you're support? 108960 Vildmanden Hi, I just started playing again after a break for a half year. Why don't you start with wards, when you're support? I pick up wards on the first back around level 6. It usefull to have the mana, and most junglers dont start ganking until they get their ult. 108969 masterricu I pick up wards on the first back around level 6. It usefull to have the mana, and most junglers dont start ganking until they get their ult.